Hello, my name is Brooks Gibson and I am a Master's-Level Pastoral Counselor. 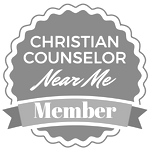 I am trained in Christian counseling, clinical psychotherapy and forensic court-ordered services in the family and juvenile superior and district courts in the U.S. I have worked with children, adolescents, adults, couples and families for over 30 years dealing with a wide range of difficult emotional, relational, clinical and personality disorder issues. I am an ordained pastor and a certified community college instructor in psychology, counseling and chemical dependency, having taught for over 16 years at locations such as Arizona College of the Bible, Glendale Community College and Paradise Valley Community College and several others. 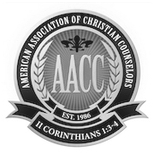 I am a member of the American Association of Christian Counselors and the American Association of Pastoral Counselors. Academically, I obtained my Bachelor of Science in Psychology from Grand Canyon University, my Master of Education in Counseling (MEd) from Northern Arizona University. I have also studied and taught Bible and Theology at Arizona College of the Bible, and post-graduate work in psychology and clinical psychology at Ottawa University and Capella University. I was awarded the National Dean’s List, Who’s Who in American Universities and the National Christian Leadership Association awards while in college. After attending six universities, I became a voracious reader and have assembled an audio book library for my clients use, with over 300 titles that supplement the counseling process through education. I also co-authored the State of Arizona’s manual for separated parents involved in shared custody, Planning For Parenting Time: Arizona’s Guide For Parents Living Apart. I have an extensive background in conducting testing or assessments and treatment for these issues including child and adolescent behavior assessments for anxiety, depression, ADD/ADHD, drug or alcohol use, emotional, social, and school behavior. I have administered thousands of adult personality assessments such as the MMPI, MMPI-2, Millon Clinical Multiaxial Inventory (MCMI-III), Personality Assessment Inventory (PAI), DISC and many others. My early vocational employment included outpatient counseling settings, group homes, residential treatment facilities, an intensive in-home treatment delivery model, inpatient psychiatric facilities, telephone and online services. Some of the facilities included Northwest Biblical Counseling Center (Northwest Community Church), West Valley Camelback Hospital (Now Banner), Arizona Baptist Children’s Services, Jane Wayland Treatment Center, Charter Hospital of Glendale and others. I began my private practice in 1992 and have collaborated with many colleagues, courts, agencies and service providers over these years. I continue to collaborate with other professionals to provide the best available services to my clients. Working with clients has been an unforgettable life journey for me. They have taught me how much I still do not know—about ourselves and this journey called life. My relationships with my clients is the most satisfying component of providing therapy, by far. Over the years, my clients have referred their friends and family members, children, and even grandchildren to me for counseling. I maintain a small case load so I can give every client the time they deserve for the best counseling service possible. I would expect no less for services provided to my own children or family members. I love working with children, teenagers, and parents, helping them create closer bonds within the family and becoming better in the process. I also enjoy working with couples and teaching them communication skills beyond the basics that are specifically tailored to their unique needs. I have had great success working with individuals doing family of origin work, working with survivors of sexual abuse and other trauma, PTSD, and many more conditions.